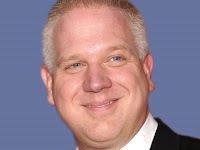 The Glenn Beck Review: So why did Beck lose his 5:00 slot at Fox? So why did Beck lose his 5:00 slot at Fox? This Review has been covering the "transitioning" of Glenn Beck from his 5:00 time slot on Fox by citing the original announcement from Beck's fake-news site, TheBlaze, by covering the subtle but funny responses from his colleagues at Fox, a perspective offered by MSNBC socialist commentator Lawrence O'Donnell, another perspective offered by reactionary crank Alex Jones and the comments from Beck's boss, Roger Ailes. One of the most active and ardent of Beck's critics, Jewish Funds for Justice had a petition drive to have Beck fired and a letter requesting to have Beck sanctioned signed by 400 rabbis. Their president and CEO, Simon Greer, published an article today in AltNet expressing three ways citizens helped bring that about. His views, alternating with the comedic analysis of The Daily Show's Jon Stewart, will be given below along with an original analysis of why Beck is being displaced from his 5:00 slot and Beck's own response to what people are saying about this most welcome change of schedule on the Fox propaganda channel. Simon Greer addressed three ways citizens helped push Beck off his Fox stage. There is a time to go after the proverbial low-hanging fruit. But if we only set our sights low, we will never have more than a marginal impact. When we began speaking out and standing up to Beck, many friends advised against it. They suggested ducking was the best approach when Beck lashes out. You can’t win, they said. You will only end up boosting his ratings, they said. The truth is, Beck had become powerful because he was a risk-taker, willing to say or do things others wouldn’t. It also made him vulnerable. But only if we found our David v. Goliath courage. All of us talk about how important coalitions are. But too often our coalitions are comfortable collections of the same old ideologically compatible organizations. Sometimes that’s enough to win, but usually it isn't. For far too long, Beck said things that were offensive to a wide range of Americans but the scenario in which a conservative network like Fox ends its relationship with an extremist remained unlikely until we could include centrists and conservatives in the ranks of those Beck had offended. It was these voices, from rabbis and other clergy, community leaders, historians and magazine editors, above all others, that placed Beck far outside the mainstream. More from Jon in a bit. To the first of Greer's points, there was no indecision here about exposing Beck as a liar. There was only the matter of learning how to find, start and use a blog and then how to disseminate the content. There was no pondering this decision because Beck's lies and smears created a moment of existential meaning. Taking action to oppose Beck was a matter of doing something meaningful and patriotic. Beck was clearly sabotaging intelligent and honest political discourse. Concerning the third point made by Greer, this dismissal of Beck from his Fox show, although being discussed and rumored online, came as a pleasant and early surprise. This effort was expected to take much longer than it has. The second of Greer's points will be addressed after another comedic break brought to you again by Jon Stewart. The second of Greer's points is by far the most relevant. When conservatives like William Kristol, Rick Lowry, John Fund and Karl Rove advisor, Peter Wehner began to speak about against Glenn Beck, then the playing field against Beck, indeed, changed dramatically. The theory here is that Beck's boss, Roger Ailes, and Fox owner Rupert Murdoch, would have been willing to let Beck continue with his irrational fear and hate-mongering indefinitely. The effective boycott organized by Stop Beck's Angelo Carusone to get American corporations to not advertise on Beck's show probably would have been worth accepting the resultant loses for a billionaire like Murdoch, a staunch defender of Beck. So what changed their minds? This is conjecture, but Ailes has enough political savvy to heed the consultation from other conservatives going into an election cycle for the presidency. The last thing conservatives want is to have a Beck-endorsed reactionary extremist like Michelle Bachmann or even Sarah Palin win the Republican nomination for president only to get blown out of the water by the formidable campaigner and fund-raiser, Barack Obama, a man the right-wing propagandists at Fox obviously want to defeat in 2012. Beck was transitioned out because his yellow, reactionary propaganda is too effective! It was the conservatives "above all others" that colluded behind the scenes at Fox to displace Beck off his stage. They did not want Glenn Beck inspiring primary voters too far to the right. The left had little, if anything, to do with this most delightful change of scheduling at Fox. Finally, as reported from Beck's fake news site, TheBlaze, the following clip is Beck essentially warning liberals about what to expect a year from now. See if you agree. To quote Glenn Beck, "sure, sure." Update, 4/10/2011: The follow clip from CNN of NY Times reporter Brian Stelter that people on the news side of Fox were embarrassed at by Glenn Beck. And this from CNN as well; Roger Ailes fired Glenn Beck. Update, 5/1/2013: Howard Kurtz of CNN's reliable sources covered Beck's departure. Listen to what Gail Shister says about what Beck's future might hold and ask if she was correct. Those on the left will find Jesus?!? WTF? I guess that would be good if everybody on the alleged left were christian. Is Beck seriously this arrogant all the time? Or is this him cracking under the pressure of being let go from Fox? How I wish, this man would run for president, then he would actually be forced to have an open debate, instead of just issuing insulting comments from his little fort at Fox. I'm sure under those circumstances, Mr.Beck would be the one found crapping his pants. Chris, Beck is that seriously arrogant all the time for the most part, yes. I've pointed out previously how absurd it is for Beck to think that he can predict the future like he so often does. Beck is arrogant about his absurd claims. What does hypocrisy look like?